Three days of snow but we survived! 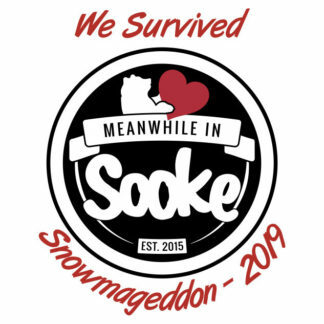 Let’s remember Feb 2019 with this design created by the Meanwhile in Sooke community. 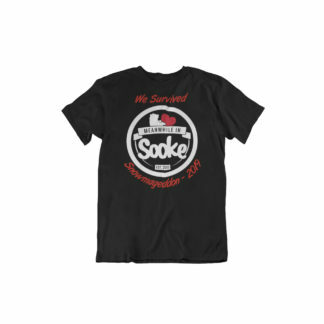 Sooke, B.C. is a great community where we all support one another and this is how we go through tough times around here. Proceeds of the sales will go to support Benjamin Kendrick in his quest to recovery. Privateer Factory will return $2 for every item sold. This item is pre-order. We will proceed with production around Feb 20th for delivery on Saturday, Feb 23rd. 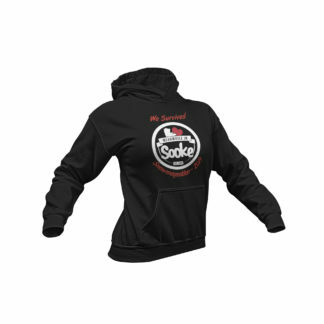 Depending on the demand we may have stocks left and we will make them available for purchase. 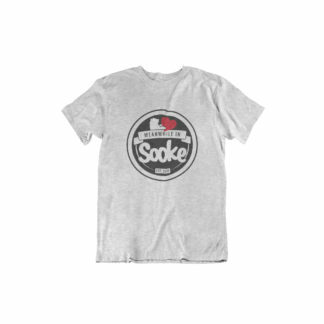 For Sooke Residents that want to pick up their item locally, use promo code “sooke” to waive delivery charges. You will be contacted to arrange pickup times and location.